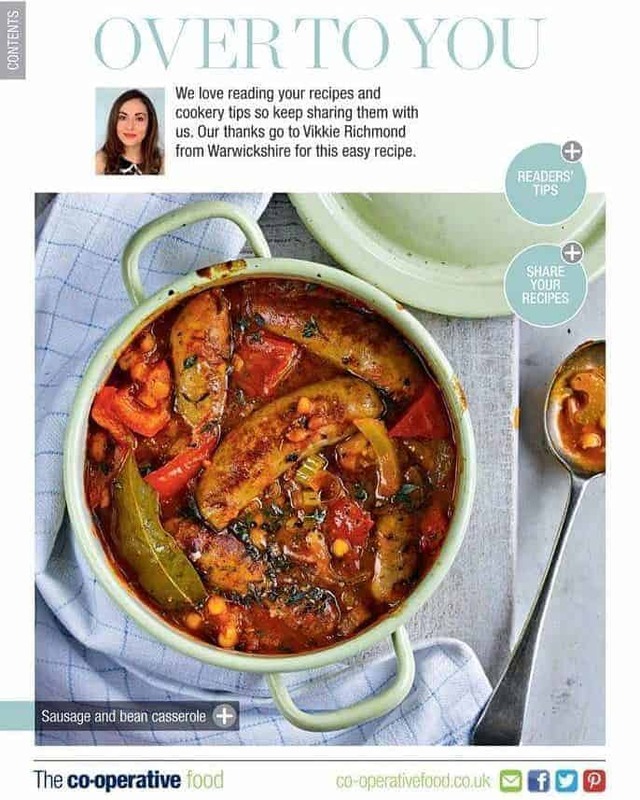 Last month I was so excited to see my Sausagge & Bean Slow Cooker Casserole recipe featured in Coop’s latest March/April 2016 magazine edition. So much so, I’ve kept the copy and hope to frame it some time soon for my office. However, by the time it went to print, a handful of things had change, including the method of cooking from Slow Cooker to casserole dish, so i thought I’d take this opportunity to showcase it as this week’s YouTube video. Here’s a quick glance at the recipe if you want to take a peek! 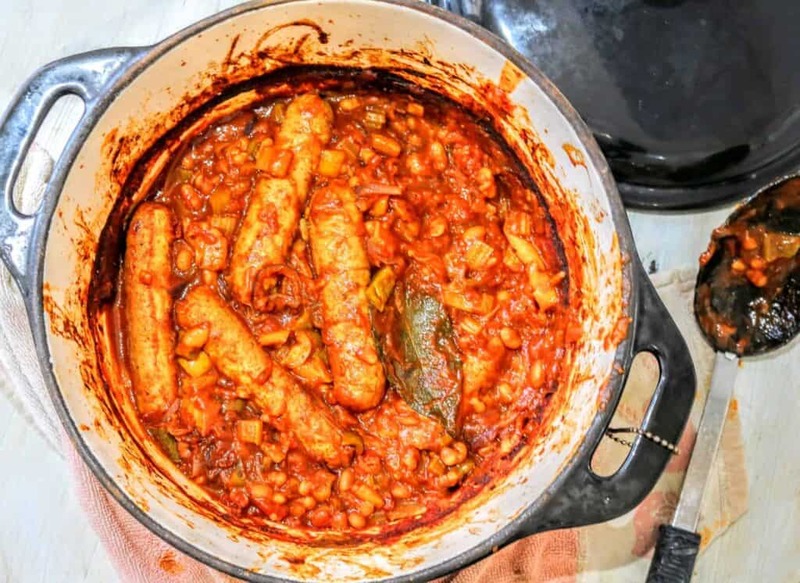 I really do love how easy and delicious this recipe is and thought this time I would make it strictly syn free, giving you all a chance to save on syns, using Iceland’s Slimming World Syn Free Pork Sausages. They do taste a bit like Quorn vegetarian sausages, so if you’re a fan, you’ll love this. If you love a bit of fat in your bangers, then you might want to look further afield. My fiance really didn’t like them, but personally I’d rather opt for these and syn a pudding later. It’s completely your choice! Preheat your oven on gas mark 4 or 180 degrees. Place the Iceland frozen sausages (or other defrosted sausages) in to an oven proof casserole dish, spray with frylight and pop in the oven for 15 minutes. Now add the remaining ingredients and cook on the hob until a simmering point and cover with a lid. And finally, to cook the casserole, you can continue simmering away for an hour on the hob, or place back in the oven for 1 hour. Hi Vikkie this looks lush 🙂 I tend to cook slow cooker recipes for reasons of economy,would you mind sharing the adaptations to take it back to a slow cooker dish?